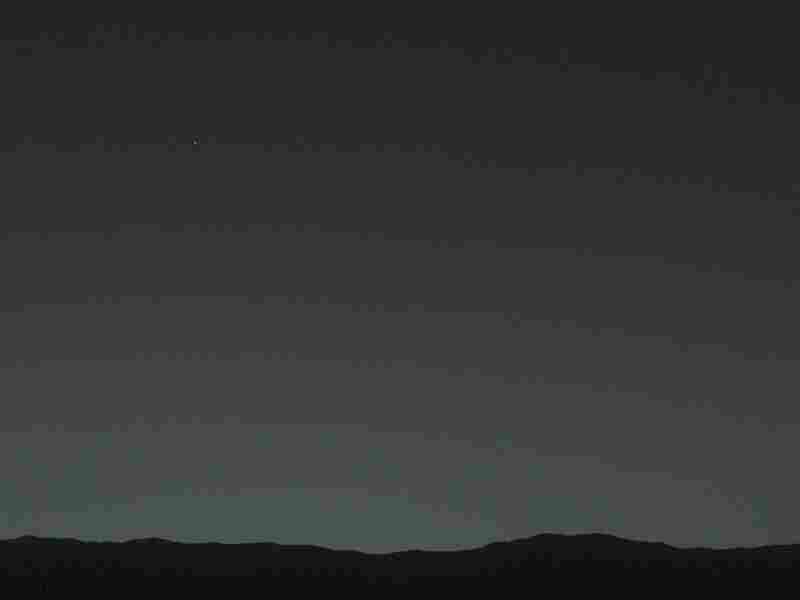 Far Out Photo: Earth As 'Evening Star' Over Mars : The Two-Way The Curiosity rover has sent back an image that shows a tiny bright dot over the Mars horizon. It's Earth. Compare that to other famous photos of our planet taken from space. Astronauts and space probes have taken some stunning pictures of Earth over recent decades. Starting with a new image from Mars, we'll work backwards through some of the more famous. Trust us, there is a tiny dot over the Mars horizon and it is Earth. 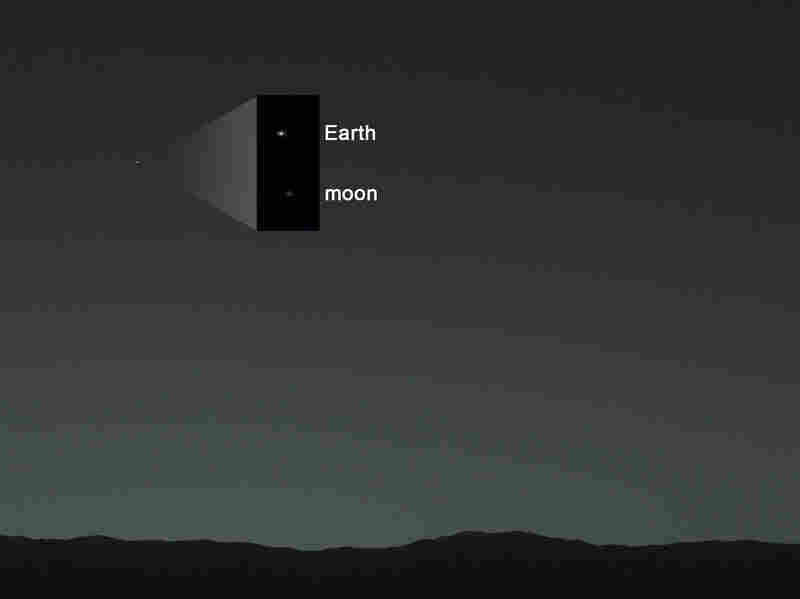 The next slide will make it easier to see what the Curiosity rover captured with its camera from 99 million miles away. There it is. NASA adds a pointer to Earth. Our old eyes aren't much good on this one, but NASA's also pointed to Earth's moon. In July 2013, NASA's Cassini spacecraft was about 1 billion miles from Earth — which is the bright spot toward the bottom right of the photo, below Saturn's rings — when it took this image. Taken in 1990 by NASA's Voyager 1 spacecraft, the "pale blue dot" photo shows what Earth looks like from 4 billion miles away. 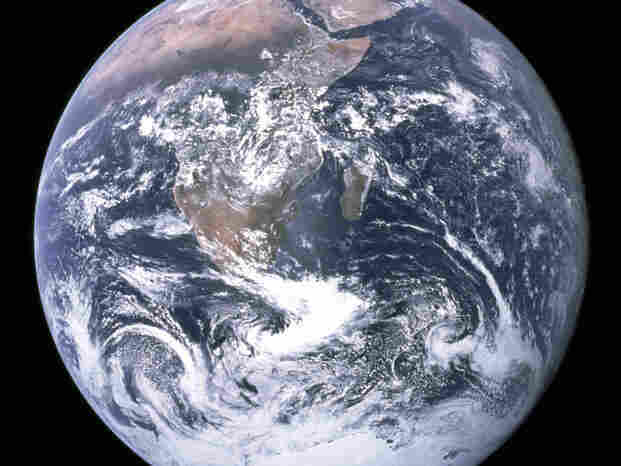 The "Blue Marble" photo taken by the crew of Apollo 17 in 1972. It ranks high among NASA's most famous images. Taken by Apollo 8 astronaut Bill Anders on Dec. 24, 1968, the "Earthrise" photo gave humans a view of their home unlike any they'd ever seen. On average, the moon is about 240,000 miles from Earth. A chart of the solar system. Seeing a new photo taken by NASA's Curiosity rover of Earth in the night sky over Mars sent us through The Two-Way's back pages in search of other images of home taken from space. 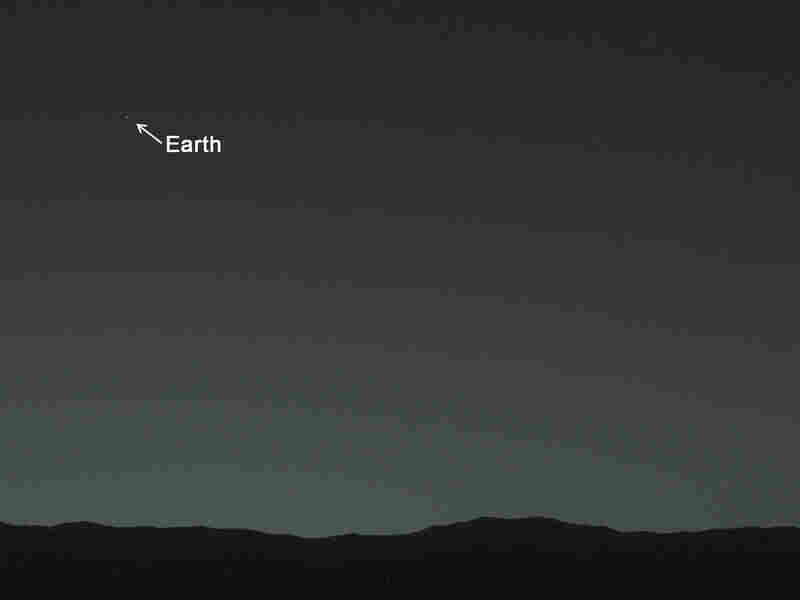 Earth, the tiny bright spot above the Mars horizon, is so hard to see that it helps to also look at the version of the photo in which NASA has embedded a handy pointer. But perhaps Earth being just a tiny spot puts in perspective what it's like to be 99 million miles away. According to NASA, "a human observer with normal vision, if standing on Mars, could easily see Earth and the moon as two distinct, bright 'evening stars.' "
We'll put the new image and NASA's helpful illustrations in a gallery with other famous shots of Earth from far away. 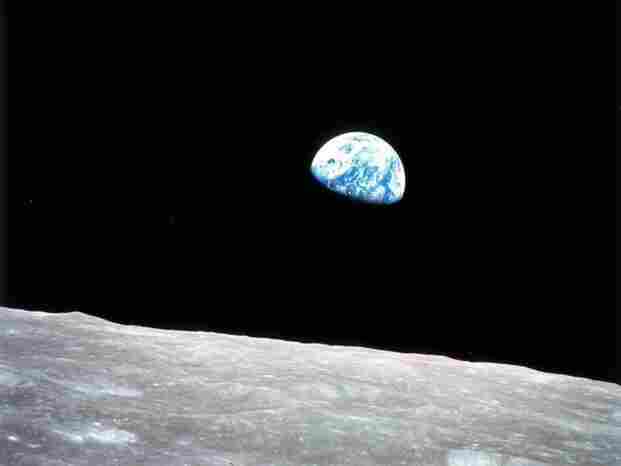 -- On Anniversary Of Apollo 8, How The 'Earthrise' Photo Was Made. 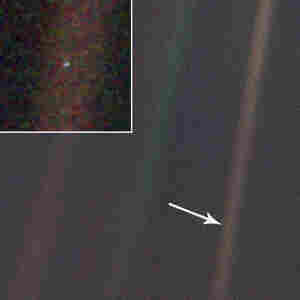 -- An Alien View Of Earth (the "pale blue dot" photo). 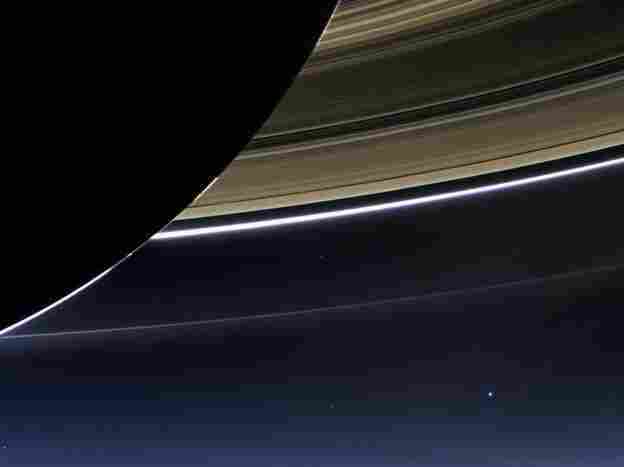 -- LOOK: Cassini's Version Of 'The Pale Blue Dot'.